A surge of water blasts into a narrow channel in the surf zone near Cape Kiwanda, Oregon. 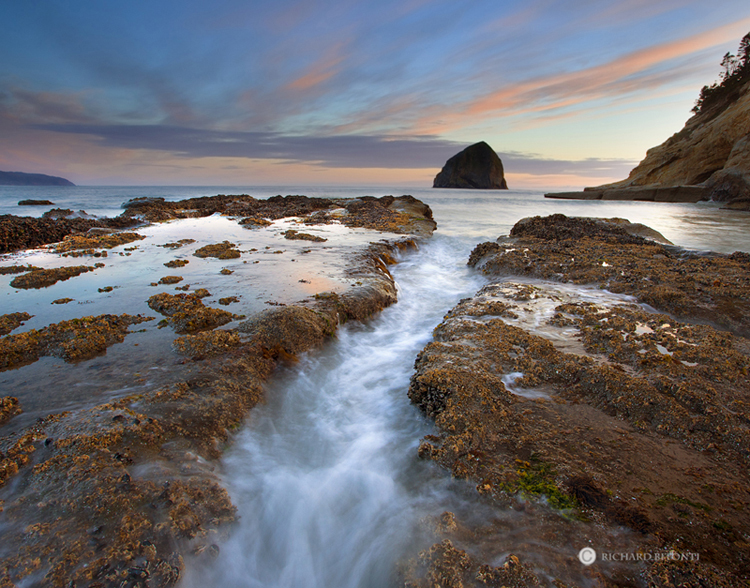 Cape Kiwanda is well known for its dramatic surf and displays of intense wave-crashing against its rugged shoreline. Photo © copyright by Richard Bitonti.